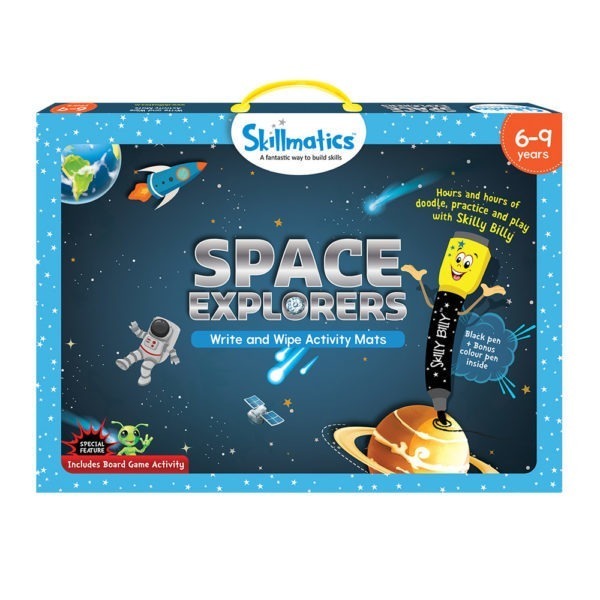 Space is an incredible and mysterious topic, which has always fascinated young minds. 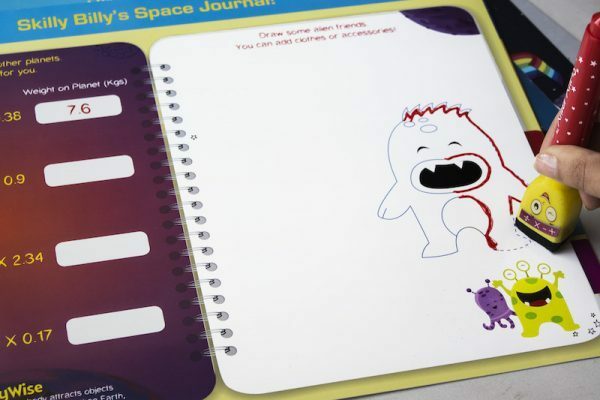 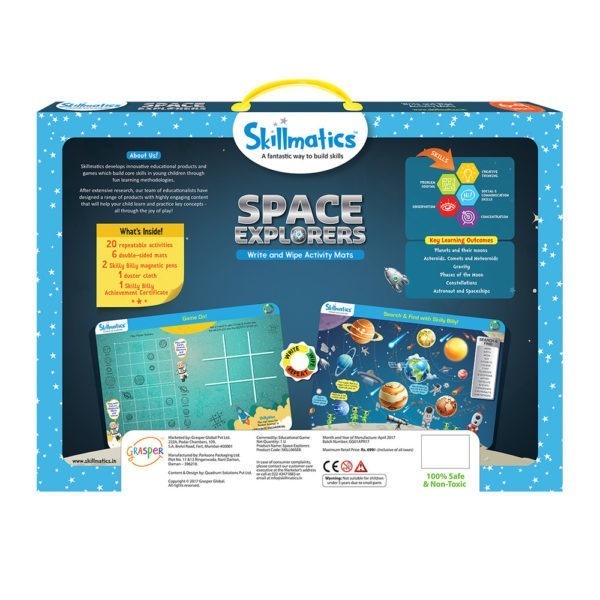 Skillmatics Space Explorers will allow your child to learn all about the wonders of space while ensuring they have a lot of fun along the way! 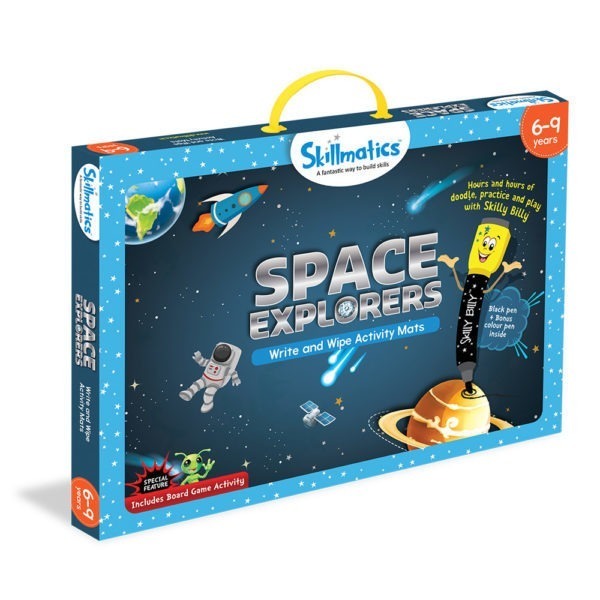 With innovative activities ranging from learning about gravity to designing your own space ship, your young ones are going to enjoy hours and hours of fun learning! 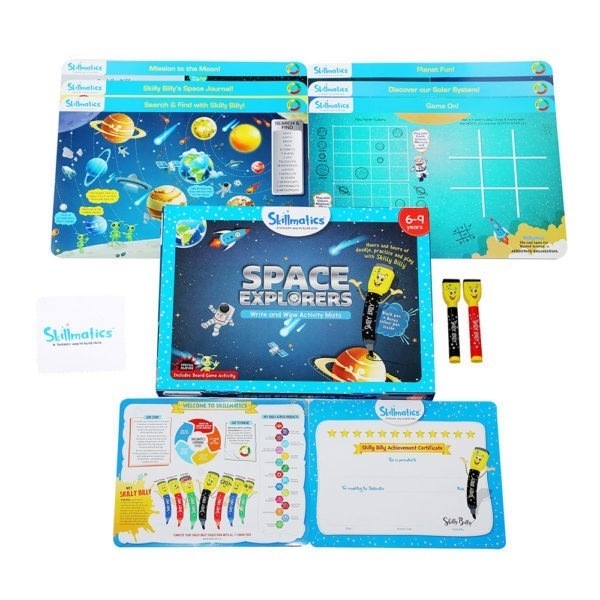 1) WIPE AND CLEAN ACTIVITY MATS – Includes 6 double-sided activity mats, 2 Skilly Billy pens, 1 duster cloth and 1 Skilly Billy Achievement Certificate – All the activity mats come with instructions which are easy to understand. 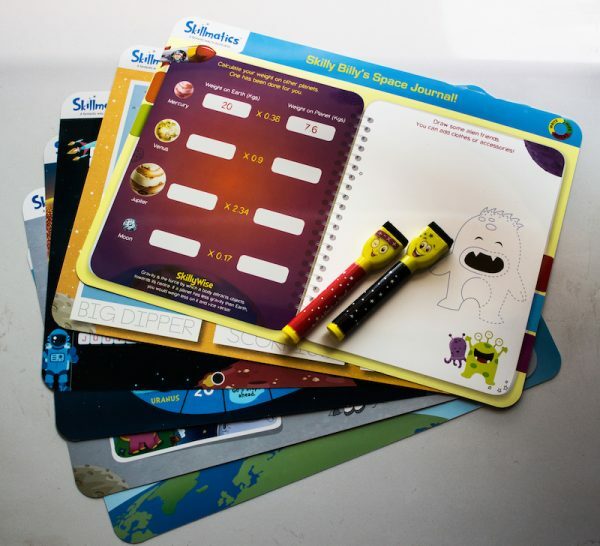 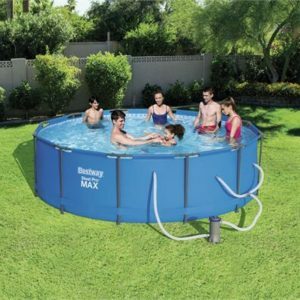 Tags: Educational games, gifts for kids under 10, kids interactive games, learning school games, space games.